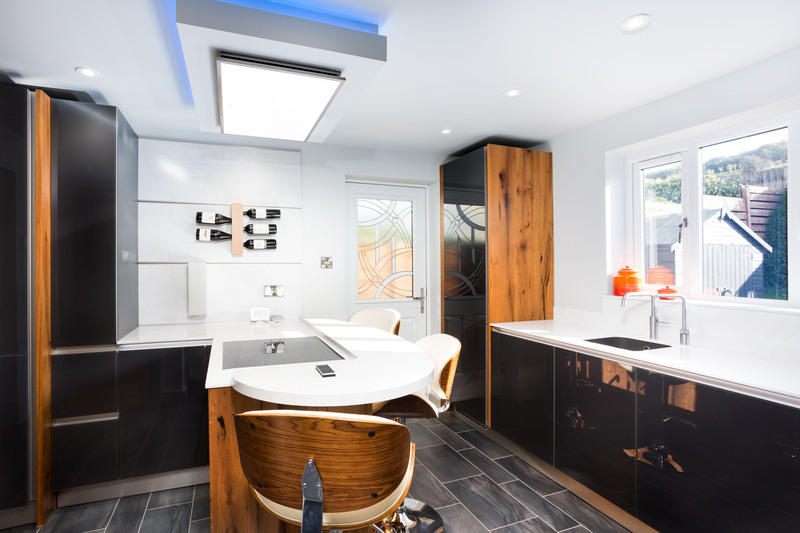 This super modern kitchen belongs to Schüller’s premium kitchen range, next125. 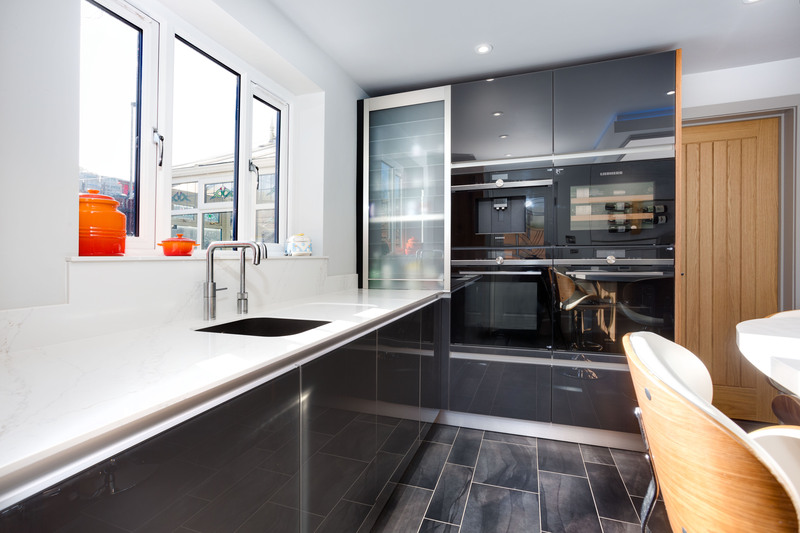 Bruce and Sally opted to go the extra mile with their kitchen, deciding on stunning Glass Gloss Lava Black- Glass fronted doors in contrast to a rustic, Old Oak panelling. 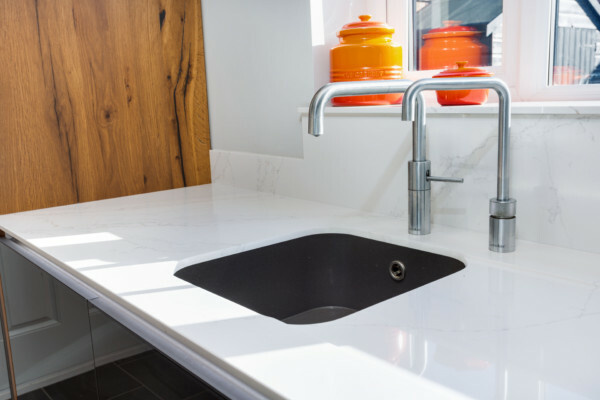 Both in perfect combination with the Silestone- Calacatta Gold quartz worktops they had chosen. 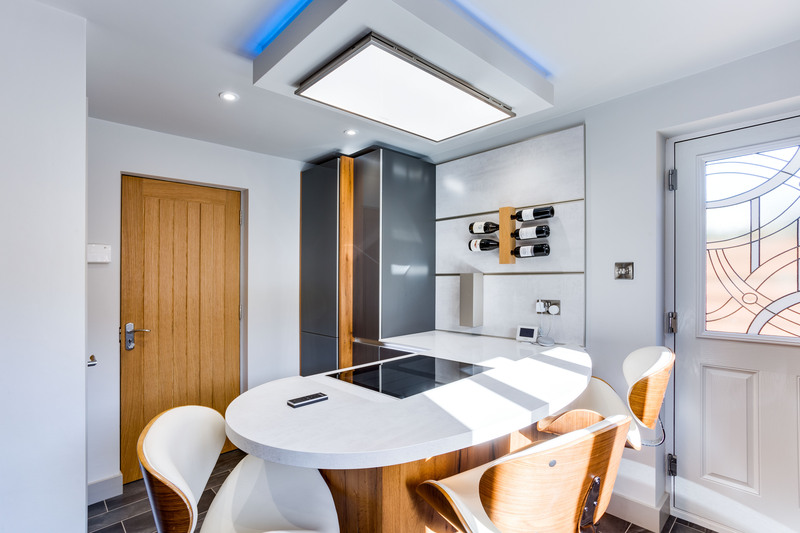 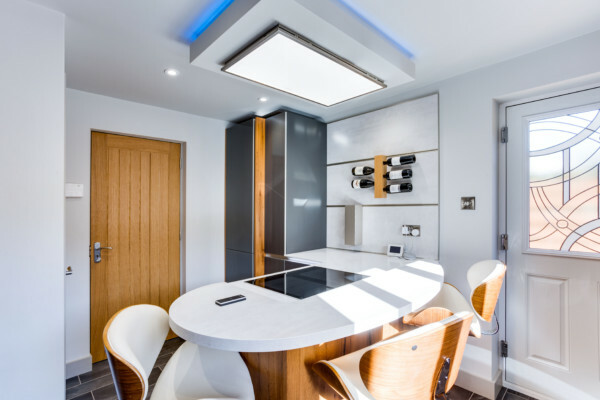 They chose to have a large amount of top of the range appliances such as two Siemens StudioLine steam ovens, a Siemens coffee machine and a Liebherr Grand Cru wine cabinet with a tip on feature, making it handleless and giving it that seamless, sleek look!